Heat mushrooms in a small saucepan with water, a squeeze of lemon juice, salt and pepper. 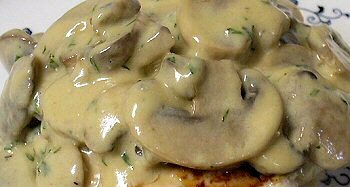 Cook gently, until the mushrooms are tender - about 4 - 5 minutes. Bring to the boil and season.